You may have noticed recently that massive fleets of dockless electric scooters have been spreading to countless cities across the US, seemingly appearing overnight in some places. As more and more companies begin to introduce and disperse their own branded scooters, the highest standards of product manufacturing are not always met, and as a result, more and more cases of defective or malfunctioning electric scooters are starting to come to light. Reports of faulty or defective electric scooters and scooter injuries are not new at all. One of the forerunners of the electric scooter craze, Lime, has issued three recalls within a year due three to different types of scooter malfunctions. In November 2018, the first recall of defective Lime scooters involved the potential for their batteries to burst into flames suddenly and unexpectedly, supposedly due to improper manufacturing procedures. Only a few weeks later, Lime began to recall an unspecified number of scooters due to defective baseboards that could possibly break in half depending on riding techniques. Most recently, in early 2019, reports of a Lime scooter software malfunction arose that could cause sudden, excessive breaking during the ride. Defective electric scooters have the potential to cause serious personal injury. Since electric scooters are allowed on streets, any scooter malfunctions near traveling cars and other motor vehicles could result in severe injuries or death. The scooter defects mentioned above are not the only ones to be reported by electric scooter users and manufacturers. Many of the malfunctions listed below are common defects of faulty scooters, and can, too, cause serious injury to the riders. Electric scooter riders do not have control over the physical quality of the vehicle they are using, and they place full trust in the respective scooter companies to properly maintain and service the scooters to keep them safe and working properly. When the companies fail to do this, and injuries are sustained due to faulty, defective, or malfunctioning electric scooters, an injury lawsuit can be filed against them. Because there are so many different types of scooter defects and malfunctions, the injuries sustained after a faulty scooter accident can vary immensely. Below are some examples of injuries that can result from an accident involving a defective Bird or Lime scooter. Locking of the front wheel, power surges, and scooter software malfunctions can easily throw a rider from the vehicle, causing them to hit the ground hard and unexpectedly. This type of accident can cause dislocations, broken bones, fractures, and require extensive surgery to fix. Scooters that break in half or come apart suddenly mid-ride can also seriously injure a rider and result in similar injuries as described above. An accident due to an electric scooter malfunction can result in any combination of the injuries listed above, and possibly others. If you have experienced any injury due to a defective electric scooter, a personal injury attorney can help you file a malfunctioning scooter claim. If you have been hurt while riding a faulty, defective, or manufacturing electric scooter, our lawyers are on hand to help you navigate the legal process. We will focus on building the strongest case possible and seeking maximum compensation for your injuries while you focus on recovering. Furthermore, Zinda Law Group believes that everyone deserves the best legal representation possible, no matter their financial position. That’s why we offer 100% Free Consultations with our experienced attorneys, and our No Fee Guarantee means that you will pay nothing unless we win your case! 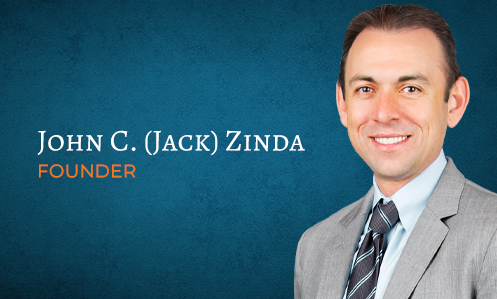 Call Zinda Law Group today at (888) 671-5127 for a free consultation with one of our personal injury attorneys.